As Christians we can have trouble developing the mindset to do the things we know the Lord called for us to do. Spending time on our prayer list, reading the Word and connecting with other Christians on a consistent basis is almost a mystery to solve. 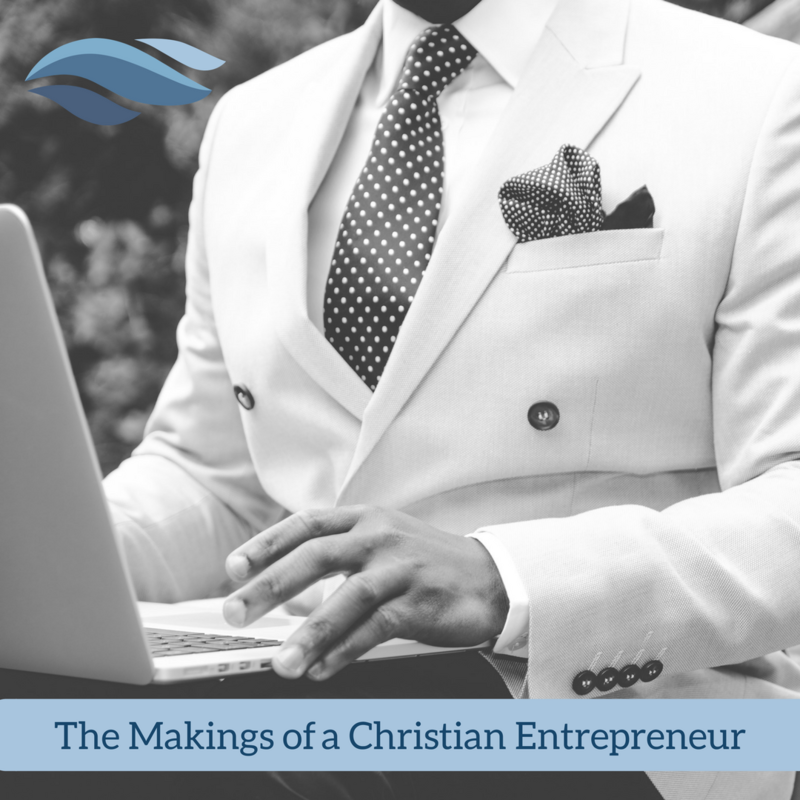 Well, what if we thought of ourselves as Christian entrepreneurs? We generally think of an entrepreneur as being a businessman. The truth is, an entrepreneur is "also" a businessman. They may perform many tasks but more importantly, they are someone who is passionate about an idea. This passion is carried out through a variety of activities. The Dictionary.com definition tells us that an entrepreneur is a person who organizes and manages any enterprise, especially a business, usually with considerable initiative and risk. An entrepreneur wears many hats. Let's use the actions presented at the beginning of this article as an example. When we pray, read the Bible and connect with other Christians, we will be exhibiting several skills or "wearing many hats." As we begin prayer and reading time, we are taking on a new mindset. We plan our time. We prepare a prayer list. That list requires a little scholarly research as we discover scriptures to inform our current condition and discover God's design for a desired future condition. That sounds like taking inventory of our lives. It also sounds like forecasting. We also see in the scriptures, we should be growing every day. 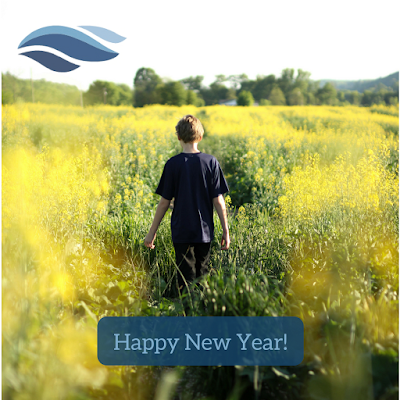 We should have before us a vision, a mission and a purpose to move forward. All of these are entrepreneurial practices! 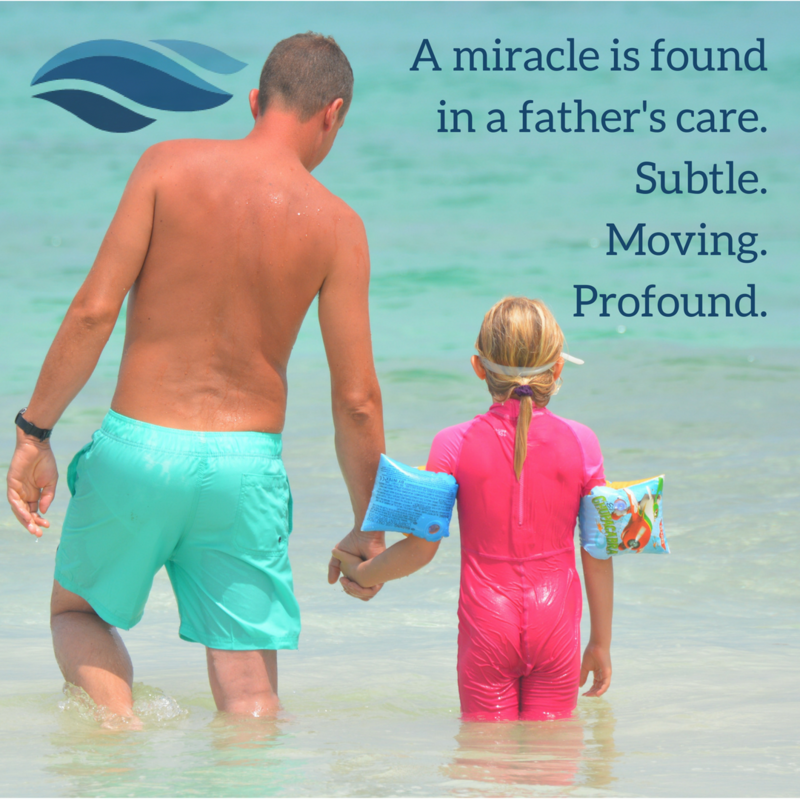 Miracles are generally attributed to an event where someone is in a bad situation that seems impossible to get out of. A person gets thrown from a car in a horrific accident where the driver seat is crushed. Somehow that person sails out the window 50 yards and sustains minimal to no injuries. Miracle! It does happen and these really are supernatural events. I'm sure we could all reflect on when one of these unexplainable events has occurred in our lives where we witnessed something that seemingly, should not occur. Yet, somehow it does. Many see these providential moments as acts of God. They are so moving, due to the supernatural aspect of the event that we tell the story for the rest of our lives as an inspiration to ourselves and others. We ask, "maybe God is working on my behalf. Maybe there is a purpose to life?" We as Christians take great joy in celebrating this power and mercy of our Lord and we should. Yet, let's look at a kind of miracle that God does right in front of us but we never really seem to notice. It is a more common occurrence than we may think. Have you ever seen a father pick up his child just before the child walked into the street? The father didn't even notice the oncoming car that would have certainly hit the child. We are left wondering, was there a miracle simply in the normal care that the father has for his child? Maybe. So, how would we know? It's inevitable that when we are in a conversation we are going to say something that is wrong. It can be a misspeak, a missed truth, a missed fact, a misunderstanding. We could simply just be wrong. So, then what's next? As Christians, we are not responsible for knowing everything. 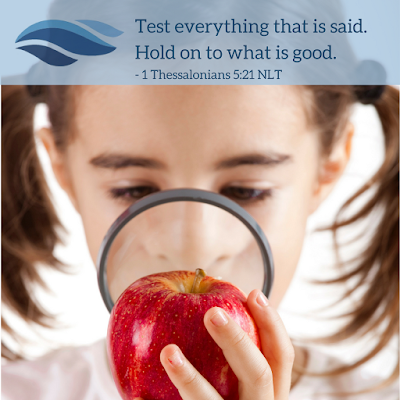 We are responsible to continue to learn about our Lord and to be curious about God and His ways. So, there's no reason to be embarrassed. 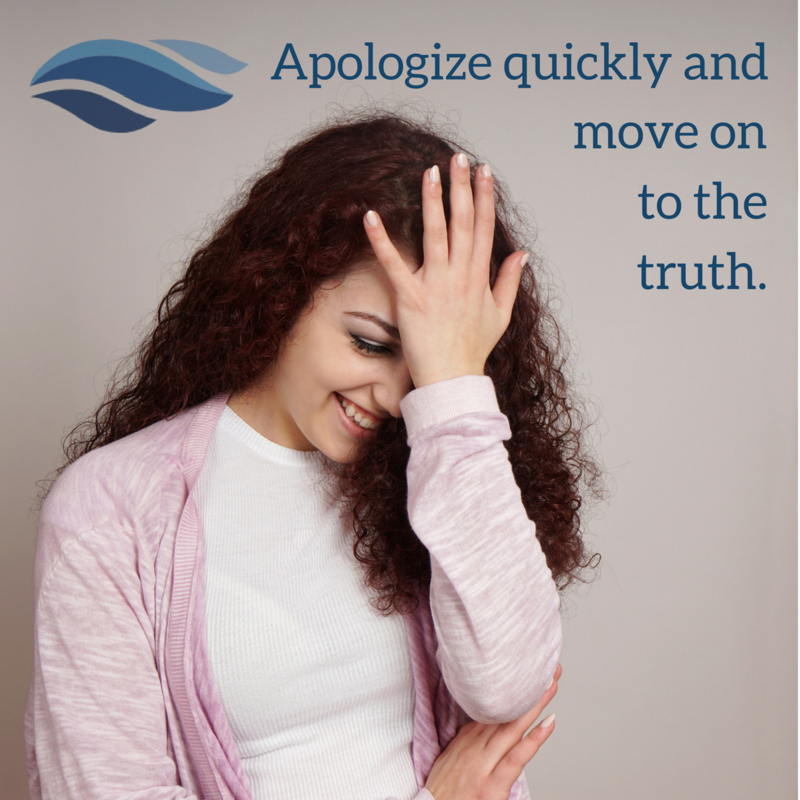 Just apologize quickly and move on! That's it! When you or someone you're engaged with in conversation points out something wrong, and it's clear that it's wrong, apologize and move on to the truth. Wasting time waiting to see if what you said will eventually "work itself out" can cause you to drift away from the truth. It will certainly get you off topic and can render you ineffective in the conversation. You don't get stuck arguing a false premise. It keeps the conversation open and moving forward. It keeps your focus on the truth. It keeps your focus on winning souls. Ok, you find yourself in another philosophical discussion with someone and you are sharing details of your belief system and they are sharing about theirs. It can quickly become difficult to track on all the rabbit trails that can occur as well as the vocabulary challenges. Sometimes we are using common words that mean something different to others. An expert communicator is acutely aware that this happens in nearly every philosophical discussion. The idea is to minimize misunderstandings and clarify thoughts. It works both ways, too. Have you ever been in an argument with someone and realized that you were actually making the same case? It's funny but things like that can be preempted by summarizing as you go. Summarizing has its greatest effect when you start early in the conversation. We don't want to assume what someone means when engaged in a thoughtful conversation. The details are important. The vocabulary is important. Summarizing facilitates the success of the conversation. Recapitulate is a fantastic word that captures the idea of this skill. It means, to restate the main points of (an argument, speech, etc); summarize. Thank you, www.dictionary.com! Slows the conversation down for better thinking. Helps to keep everyone on topic. Infuses peace, affirming the other person is being heard. Leads to follow up questions. Clarifies where the conversation lands. All of this has the effect of clarifying ideas, overcoming vocabulary barriers, infusing peace into the conversation and probably the most important of all, keeping the conversation on topic. Many times when we are having a difficult discussion with someone we are being sensitive to not only what to say, but what not to say. We get the feeling that if we "bottom line it" or say something that is generally against common assumptions, we're going to exacerbate an already uncomfortable interaction. It could be something politically incorrect or it may go against a misunderstanding in science or challenge a preconceived idea. It could be about a bad behavior or maybe the boss making a bad decision that hurts you or someone else. We've all had these uncomfortable conversations where we need to speak up and say something that may anger someone. We want to be respectful and think about how we will deal with the situation. We want to follow the scriptures that tell us to be wise as a serpent and harmless as a dove but this may mean something else, as well. We may find that the best way to address the subject is to simply say the things that need to be said. Again, this can be difficult when there is the potential to create friction in the conversation. It's especially difficult if there are anticipated repercussions. Will I be fired? Will I lose a friend or family member? Will it cost me something that I really don't want to lose? There is a process of preparing ourselves for these kind of interactions. The world is a dangerous place and watching even a short segment of todays news will quickly inform us that Christian ideas are hated and aggressively confronted. As Americans, the real life of a Christian is just now beginning to be realized. Therefore, we must begin preparing ourselves for the tough conversations and become an expert communicator. The first step is to count the cost of our words. 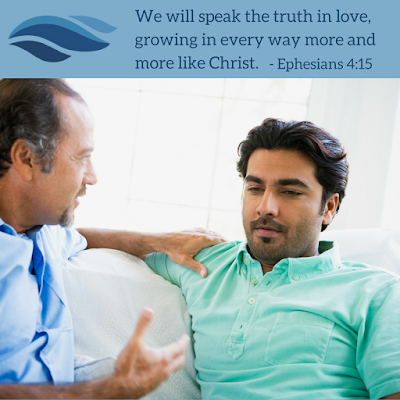 We need to take our communication of the Gospel and speaking the truth very seriously. This is why In The Cool Zone exists... to build fortitude in believers of Christ. We are not ready for the the things that are coming but we can be. We need to be! How Can We Grow This Year?